Sunday, June 17 is Fathers’ Day. Movies are filled with fathers, but many of film’s most famous examples aren’t exactly good at the whole dad thing (see: Darth Vader). After all, plot is conflict and Oedipal complexes, among other intergenerational conflicts, are relatively easy to craft. But for all the Denethors and Jack Torrances and Daniel Plainviews of cinema, there are also some really great movie dads out there. The twelve listed below are by no means an exhaustive list, merely a sample platter spotlighting a selection of the wide range of quality dads cinema has to offer. Life is Beautiful is a two-for-one movie deal, half rom-com, half Holocaust survival story. In the latter half, Italian Jewish bookstore owner Guido Orefice does everything in his power to both keep his young son Giosuè physically safe, but also to shield the boy’s childish hope and innocence from the horrific reality of their situation as they are brought to a concentration camp. Until the very end, Guido disguises his fears around his son and the dangers that surround them, regardless of how dire the situation. Great dad moment: Guido marching off to his death without a struggle and an exaggerated, Monty Python style silly walk, knowing that his son is watching, not wanting the young boy to get scared and potentially risk young Giosuè revealing his hiding place. Overbearing? Yes. Paranoid? Most definitely. Walter might be overly strict and have a bad habit of bringing his work as an obstetrician home with him, but it all comes from a place of love. And, ultimately, the moral of the story is that he managed to raise two totally different but fundamentally good teenagers with killer right hooks. His methods may be odd and somewhat exasperating for his daughters, but there’s no arguing with those results. While Go Set a Watchman might have shown a darker side to one of America’s most beloved characters, Atticus Finch as portrayed by Gregory Peck in the classic 1962 adaptation of Harper Lee’s To Kill a Mockingbird is easily one of cinema’s most iconic dads. A paragon of fatherly virtue, he might arguably be a little too perfect, the sort of even-tempered pillar of integrity that always has time to address his daughter’s concerns or give great advice who also has a steady hand and good aim when a rabid dog gets loose. After getting into one too many fights in school, intelligent but insubordinate ten-year-old Tre is sent by his concerned mother to live with his strict, authoritarian father. Furious may not be exactly the soft and fuzzy type of parent, but while he might practice the tough love school of parenting most of the time, he’s still able to provide Tre with emotional support when need be. As the film progresses and Tre’s path diverges from those of many of his friends, who fall into lives of crime while Tre manages to more or less steer clear, ultimately headed for college and, by all indications, a bright future. 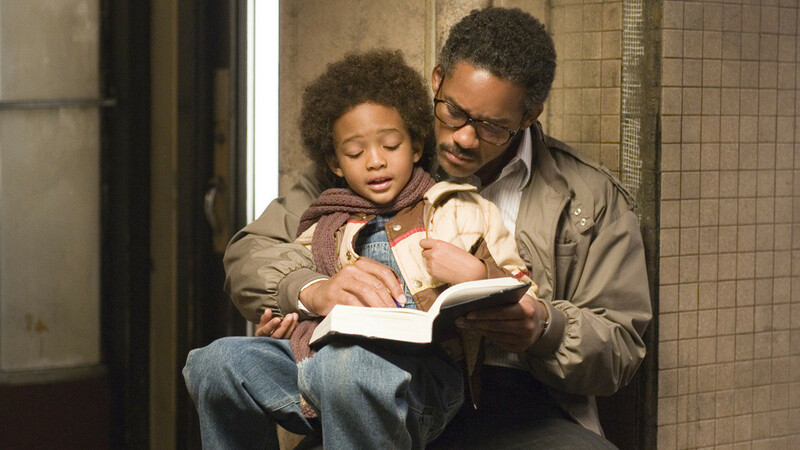 The film is not subtle in indicating it is Furious’s active role in his son’s life that makes all the difference. As far as dads go, Marlin might be on the neurotic side, but if your wife and all but one of your 400 children were murdered in a barracuda attack, being overprotective of the lone survivor is pretty understandable. After a scuba diver captures aforementioned offspring, Marlin makes it abundantly clear that there are no limits to the lengths he will go to rescue his son, even if he is afraid of more or less everything. Mr. Gaines might not be your traditional little league and play catch in the park sort of dad. He might not have all the answers. But he does have the Criterion Collection, a cat named Cat Stevens, and an eclectic selection of palette-widening snacks—and there’s something to be said for that. Great dad moment: When Gaines offers his son his cat as a form of comfort. It doesn’t necessarily work all that well, but the effort is there. At the end of the day, there are very few people who can be Atticus Finch. The rest of us can just do the best we can, and that’s still worth applauding. Chris Gardener might not always make the best decisions in all aspects of his life, and he might make some risky decisions in business, but there’s thing in which Chris takes no chances, and that is the care of his son. No matter how difficult their circumstances or how much Chris’s life seems to be falling apart around him, he always has the time and energy to be a good dad. 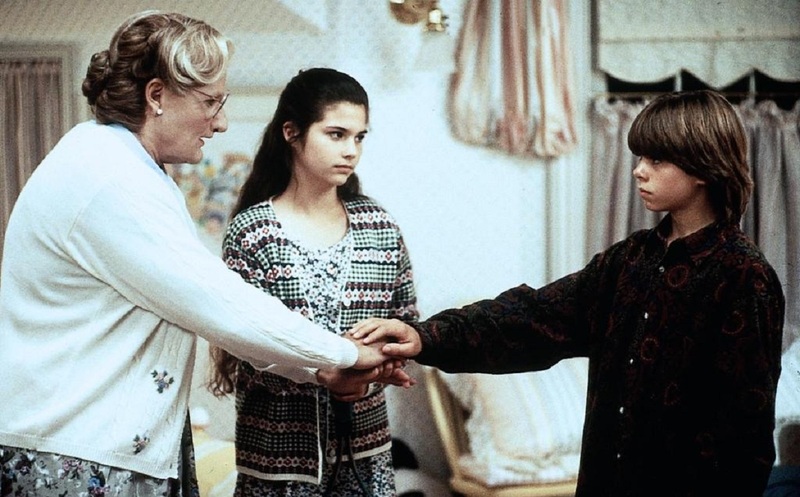 Following a divorce in which his wife was awarded full custody of their three children, Daniel is so desperate to see his kids that he creates the alter ego of Scottish nanny Mrs. Doubtfire to be able to spend time with them, throwing his career and most other aspects of his life into turmoil. The story of a dad who won’t take “no” for an answer, and in all the most heartwarming ways. There are plenty of dads who love their children, and who would go to great lengths to keep them safe. But it takes a certain kind of dad to go hunt down a giant shark so that his kid (and others, of course) can swim at the beach safely. Perhaps a slightly crazy one, but the dedication demonstrated is a solid 11 out of 10. Other dads might just tell their kid to stick to the pool or hire others to get the job done and call it a day, but not Brody. After all, what sort of message would that send to his son? Great dad moment: For all Jaws’ iconic scenes and lines, one of the most illuminating moments regarding the nature of Brody’s character is the dinner scene featured in the image above. In the midst of stressing over what to do about the whole giant shark situation, Brody notices his son is copying his every move and adjusts his behavior, making his dedication to being a good role model clear without him having to say a single word. J. K. Simmons is the sort of chameleon who can affably sell Farmers Insurance, turn around and win an Oscar for terrorizing Miles Teller, and then go straight back to the former without missing a beat. But one of Simmons’ great demonstrations of his acting chops that receives far less attention is his grade A fatherly turn as Mac MacGuff in Juno. Though in some regards overshadowed by the various larger-than-life characters that populate the film, Mac’s soft-spoken, steady presence provides the film with a much-needed dimension of a more grounded realism. Faced with the non-ideal parenting situation of his teenage daughter’s pregnancy (aka Walter Stratford’s worst nightmare), Mac honestly expresses his disappointment and frustration, but never lets these feelings get in the way with being a reliable and supportive presence in Juno’s life. He can’t magically make her problems disappear, but he somehow seems to know just what to say when something most needs to be said. While the first installment shows Bob “Mr. Incredible” Parr to be a good dad, the long-awaited sequel demonstrates him to be a great one. While the Mr. Mom plot line is a little outdated considering paternal involvement in childcare is no longer the novelty it once was, with Pew Research Center estimating there are now around 2 million stay-at-home dads in the U.S., Mr. 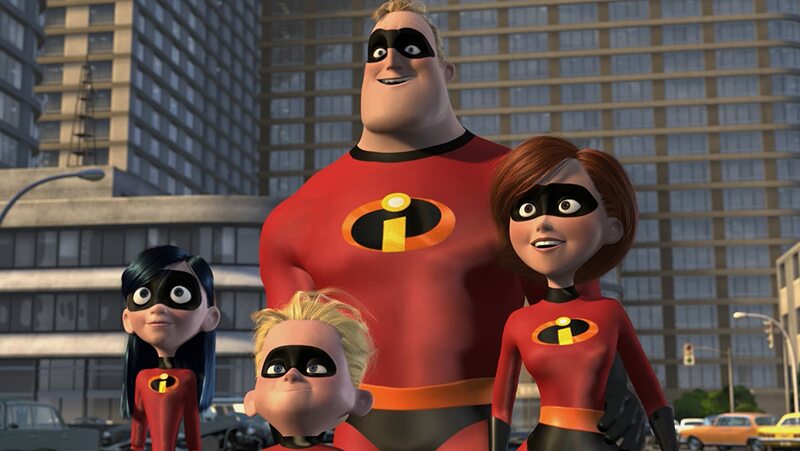 Incredible takes his struggles with domesticity hard not just because he wants to be out fighting crime, but because he genuinely wants to be a really good dad. And he is—the kind of dad willing to stay up half the night re-learning math in order to help his son with homework, or attempt to fix his teenage daughter’s dating problems. In this new film from director Brett Haley that is pretty much made for a Father’s Day trip to the cinema, widowed father Frank has to cope with a number of major life changes, including a failing record store, a mother in poor health, and his daughter Sam leaving to start college. While their jam sessions are clearly in part fueled by Frank’s unrealized dreams of stardom, another part of it is his genuine desire to spend more time with his daughter. Great dad moment: Most of them, honestly. Frank may wistfully daydream of a daddy-daughter rock band, but he’s ultimately the sort of accepting, supportive father that’s worth celebrating any day of the year.